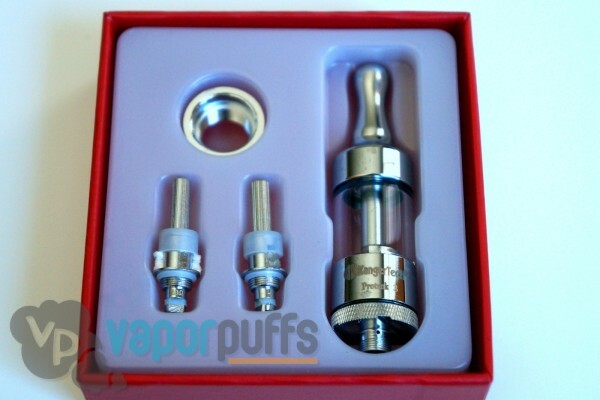 Welcome to the Vapor Puffs guide on how to use the Protank 2 Atomizer! We’ll begin by giving you an introduction into the individual parts of the Protank 2 and then move onto how to use the Protank 2 Atomizer. What is the Protank 2? The Protank 2 Atomizer is an eLiquid only atomizer that, when used with a battery, vaporizes your eLiquid. Part of the Protank 2’s appeal over its predecessor includes an improved glass tank and the addition of an extra heating coil. Mouthpiece – In most cases, this will be where you will put your mouth. 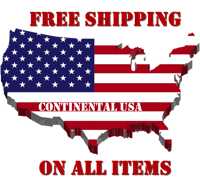 Tube Body – Your eLiquid will be going in here. Coil Units – These will be heating up and vaporizing the eLiquid within the Tube Body. The Protank II has two heating coils. Connector – This part will connect the coil units to the battery, allowing them to heat up. So you know what each part of the Protank 2 does. Now we’re going to move onto how to make it work for you. First, you’ll want to remove the connector at the bottom of the Protank 2 by twisting it counter-clockwise. Then, take one of the coil units out of the rubber cap that they come in (shown above) and attach it to the connector by twisting it clockwise. Make sure that the threaded side of the Coil Unit is the side going into the connector, with the long skinny tube side being on the side that goes into the Protank 2 Tube Body. You should notice there is a small rubber cap connected to skinny tube on the Coil Unit, you may be tempted to remove it but we (and a large part of the vaping community) would tell you not to. Don’t reattach your connector to the Protank 2 Tube Body just yet though. On the side where the detached connector goes, you should see a round hole in the center and two semi-circle holes on the side, separated by a bar inbetween them. When filling up the Protank 2 with eLiquid make sure you do not get the eLiquid into the round hole in the center, as that is the pathway to the mouthpiece and will cause the eLiquid to go right into your mouth. Instead, place the eLiquid into those two semi-circle holes that are to the sides. Be aware that the Protank 2 has an advertised 2.5mL capacity. Line up the Coil Unit with the air tube inside the Tube Body and then twist the connector clockwise until its firmly attached. Just attach the Protank 2’s threading to your battery of choice and you should be ready to vape. Thanks for Reading our Guide on How to Use the Protank 2! We hope you’ve now got the basics of the Protank 2 figured out. Thanks for reading! Welcome to the Vapor Puffs guide on how to use the Protank 3 Atomizer! 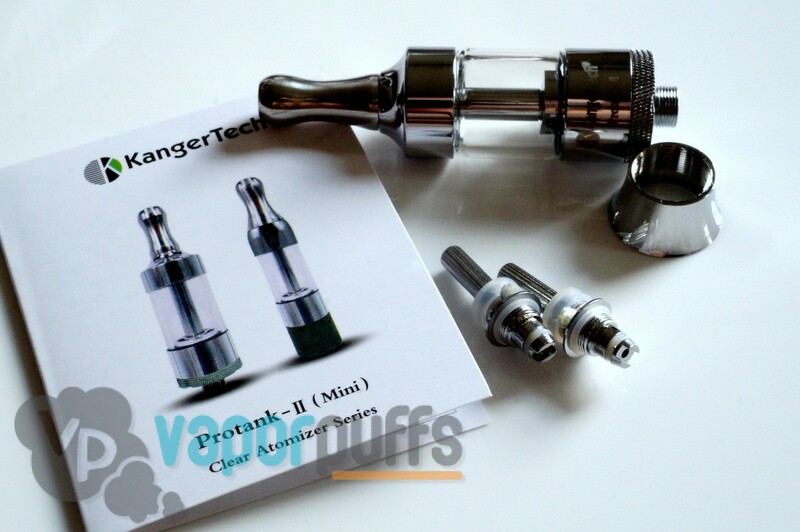 In this guide we will explain the individual parts of the Protank 3 as well as how to asemble and use the atomizer. What is the Protank 3? 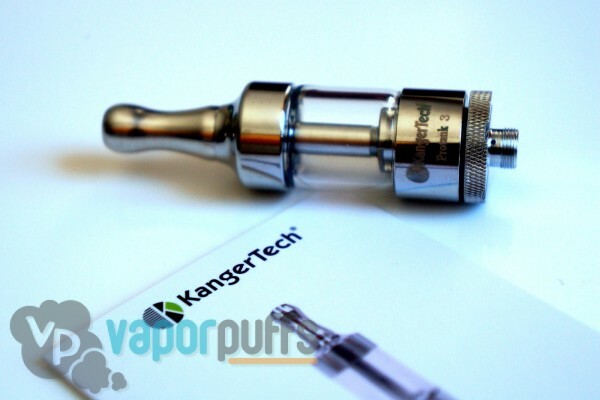 The Protank 3 is the latest model in a long line of highly recommended eLiquid atomizers released by Kangertech. 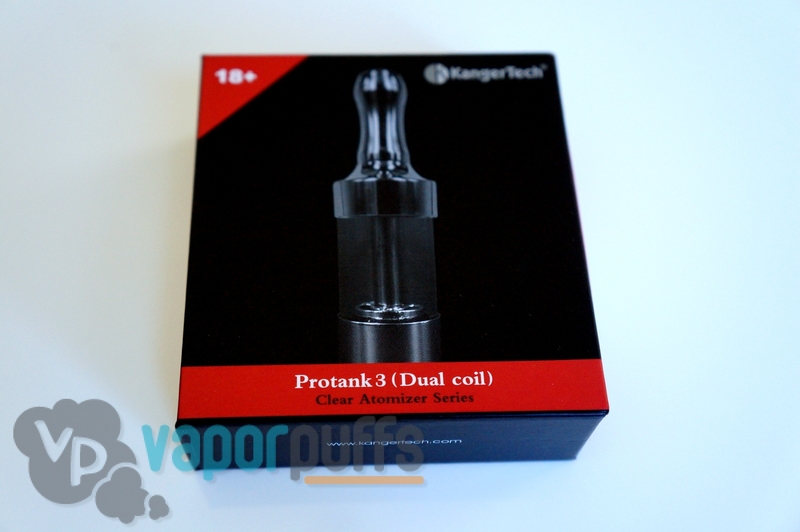 The Protank 3 features an upgraded pyrex glass tank and comes with two heating coils. Mouthpiece – You’ll be placing your mouth on this part. Tube Body – This is the container where you’ll be placing your eLiquid. Coil Units – These are what heat your eliquid inside of the Tube Body. 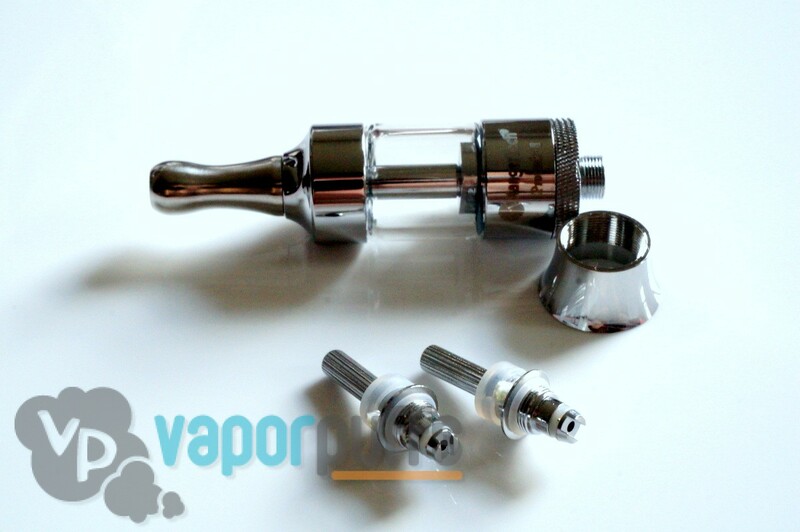 The Protank 3 comes with two different coil units. Connector – The connector is the base for the coil that connects the coil to the battery. So you know what each part does, let’s move onto how to use the Protank 3. The Protank 3 gives you the options of choosing ether a 1 8ohm coil unit or a 2 4ohm coil unit. Choose whichever you prefer and we’ll begin placing it into the Protank 3. First, you’ll want to remove the connector at the bottom of the Protank 3 by twisting it counter-clockwise. Now, take your coil unit and place it into the side of the connector that goes into the Tube Body and then twist it clockwise until it is firmly attached. Simply insert the eliquid into the pyrex glass tank, make sure to put it into the side of the tank avoiding the tube body in the center. Make sure to use 2.5 ml of eliquid or less to avoid leaking. Line up the Coil Unit to the air tube within the Tube Body then reattach the connector by twisting it clockwise. Simply screw it onto your battery of choice and you’re ready to go! Thank You for Reading Our Guide on How to Use the Protank 3! We hope you’ve found our Protank 3 how to guide helpful. Thanks for reading! Welcome to Vapor Puffs guide on how to use the Snoop Dogg Micro G Pen! We’ll begin by giving a brief introduction into how the parts of the Snoop Dogg Micro G work, and then move onto how to make it work for you. Part of Grenco Science’s artist series, the Snoop Dogg Micro G Pen is the latest in a line of artist endorsed vaporizers that Grenco Science has put out. It’s a specially styled Micro G, that comes with some extra perks, one of which is the extra heating chambers (a very valuable asset to have). In this guide, we’ll be sticking to the Dry Herb version of the Snoop Dogg Micro G Pen (at the time of this post, a wax version isn’t available). Mouthpiece – You’ll be placing your mouth here. Steel Mesh Filter – Built into the cover of the heating chamber, the Steel Mesh Filter is there to keep any solid pieces of dry herb from getting out of the chamber and into your mouth. Spring – The Spring is there to keep your herbs tightly packed into the bottom of the heating chamber. Snoop Dogg Micro G Heating Chamber – In here is where you’ll be placing your dry herbs. At the bottom of the heating chamber you can see a small coil, that coil is what will be heating up in order to combust your herbs. 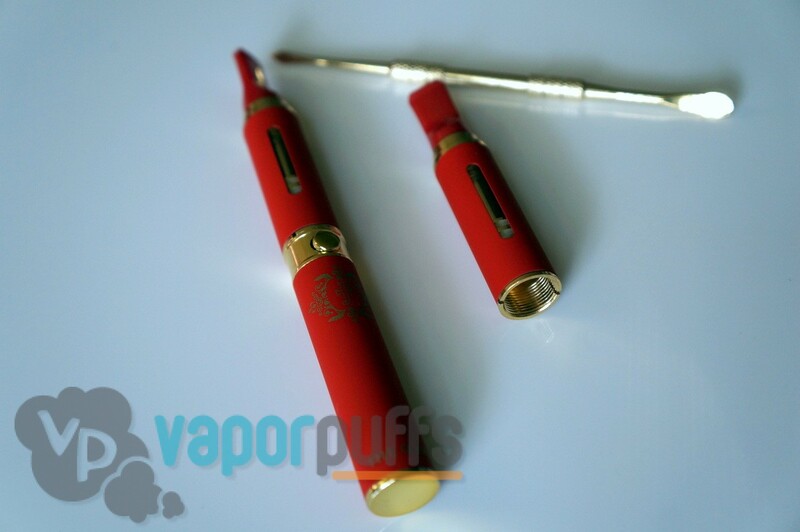 Snoop Dogg Micro G Pen Battery – The final and most weighted part of the Snoop Dogg Micro-G Pen is the battery. It powers up the Snoop Dogg Micro-G Pen and has a USB 2.0 input at the bottom for charging. Note: We mention in the short description for the heating chamber that the Snoop Dogg Micro-G is combusting your herb. That’s because unlike traditional vaporizers, the model for the Snoop Dogg Micro G Pen has no space between the herbs and heating element (in this case a coil) causing the herbs to burn. If you’re looking for a vaporizer, instead of a combustion pen, we recommend the Snoop Dogg Micro G Pen’s brother, the regular Snoop Dogg G Pen, which has space for you to place a screen before your dry herb. The Snoop Dogg Micro G Pen is turned on or off by pressing the big button (with the MICRO lettering on it) 5-6 consecutive times. This kind of method for turning on the Micro G Pen allows for it to heat up to higher temperatures and keep from being accidentally turned on in your pocket. After turning on the Snoop Dogg Micro G Pen, you can activate the heating chamber by holding down that same MICRO button. Now that you know how the Snoop Dogg Micro G Pen works and how to turn it on, we can move onto how to make it work for you. We recommend doing this with the Snoop Dogg Micro G Pen turned off. First, remove the mouthpiece by pulling it off of the Battery. Next, grab onto the thin top of the Heating Chamber (the part holding the Mesh Screen Filter) and twist it counter-clockwise to remove it. It may take a little force the first time you remove it to get it to twist. With the cap of the Heating Chamber removed, now you can load your dry herb into the heating chamber. We recommend filling it only half way up. With the dry herb packed, place the cap of the heating chamber back on and twist it clockwise to securely attach it. Then, re-attach the mouthpiece. Turn on the Snoop Dogg Micro G Pen by pressing the MICRO button 5-6 consecutive times. Put the mouthpiece up to your mouth, and hold down that same MICRO button to activate the heating coil within the heating chamber. Repeat until you’re satisfied. If you choose to refill the Heating Chamber, we recommend turning off the Snoop Dogg Micro G Pen. The Heating Chamber can get very hot. We also recommend cleaning the Heating Chamber after use, so you can get the most use possible out of each Heating Chamber. Ash buildup around the coil can stop the coil from working, so make sure to use the tools provided within the Snoop Dogg Micro G-Pen Kit to get as much of it out as you can. The Snoop Dogg Micro G Pen is a wonderful combustion pen that allows you to be discreet anywhere you go with your vaping habits. It’s great for use on the go, around the house, wherever. 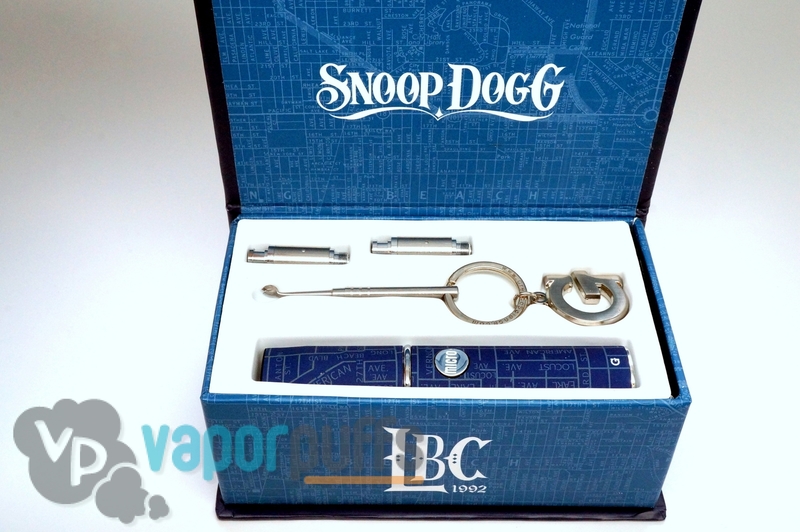 We hope you enjoyed reading our guide and now understand how to use the Snoop Dogg Micro G Pen. Welcome to the Vapor Puffs guide on how to use The Game G Pen! This guide will begin by introducing you to the individual parts of The Game G Pen then show you the steps for how to use The Game G Pen. What is The Game G Pen? The Game G Pen is one of the most colorful and standout pieces in the Grenco Science artist set. Although it’s sold as a wax only vaporizer, it’s possible to use other Grenco Science heating chambers (such as the Snoop Dogg G Pen Herbal Heating Chamber) to turn it into a dry herb vaporizer. In this guide, we’ll be sticking to the wax chamber to keep it simple though. Mouthpiece – Normally, all there would be to say about a Mouthpiece is that it’s where your mouth goes. For The Game G Pen, the Mouthpiece also has a built in mesh filter. The mesh filter is there to keep any stray particles from getting into the mouthpiece. Wax Heating Chamber – Each Heating Chamber for The Game G Pen has three parts. First, there’s the outer shell, which you can easily remove by just pulling it. Next comes the hardened pyrex glass, which is made to be heat resistant. Then is the actual heating coil, clearly visible when you look inside. Don’t touch it during or after use, it’s going to get very hot. Battery – The power source for the vaporizer. That’s all for the parts. This specific vaporizer is made to be simple and straightforward but many users, including us in the very beginning, have expressed difficulty with one important function of any vaporizer: turning it on. Most first time vaporizer users have trouble figuring out how to power on the vaporizer because most of the common methods for turning on electronics don’t apply to vaporizers. For almost all electronic vaporizers (such as The Game G Pen) you turn it on or off by pressing the power button 5-6 times in succession. After turning it on, all you have to do to start the heating process is hold down the power button to take a hit. A lot of people have come to wonder why The Game G Pen (and many other vaporizers) have to be turned on using this method. There’s two reasons for it, it allows for the vaporizer to reach a higher temperature during the heating process and it keeps the vaporizer from being accidentally turned on when you’re on the go. So now that you know what the individual parts do and you know how to turn on The Game G Pen, it’s time to move onto using it. 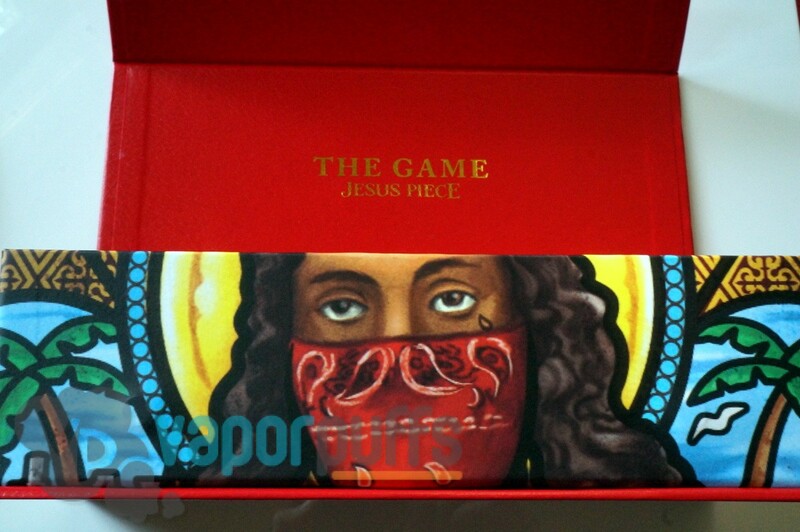 In order to use The Game G Pen we’re going to have to first fill it with wax. This process begins with removing the mouthpiece by twisting it counter-clockwise. Using the G Tool that comes with The Game G Pen, place wax into the heating chamber. When it comes to putting wax into the heating chamber of The Game G Pen, we recommend a less is more approach. However, each user will have a different opinion about how much wax to use and if you feel like you aren’t getting the result you’re looking for then putting in more wax might solve your issues. After you’ve finished putting wax into the heating chamber, twist the mouthpiece back onto the heating chamber. Turn on The Game G Pen by pressing the power button 5-6 times. Begin by putting the mouthpiece to your mouth and then holding down the power button. At this point you should be feeling a hit of vapor coming as you pull, by breathing in, from the vaporizer. Repeat these steps as much as necessary until you’ve had your fill. 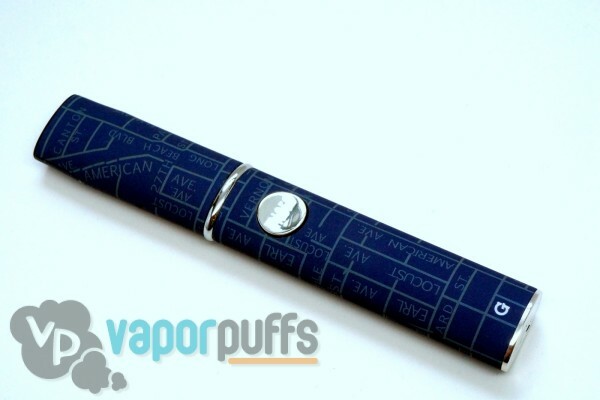 Thanks for Reading Our Guide on How to Use The Game G Pen! 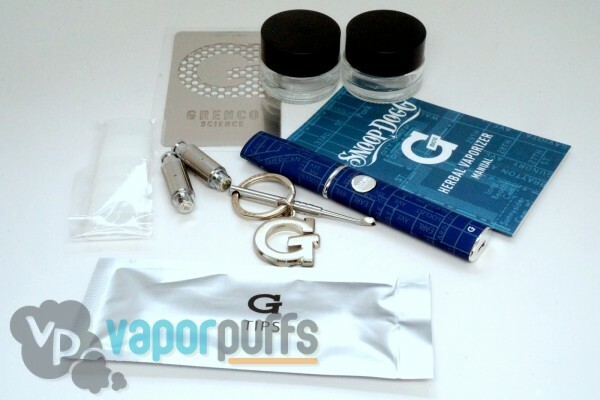 We hope this guide has helped you figure out how to use The Game G Pen. It’s a wonderful wax vaporizer and it’s gorgeous red velvet look made us love it from the start, we hope you fall in love with it too.